A professional 300W transformer for small- to medium-sized systems - accommodates very long (or heavily loaded) wire runs! VOLT® 12-22v Landscape Lighting Transformers feature top-of-the-line internal and external components for professional results and commercial reliability. Truly the perfect solution for small to medium landscape lighting systems - especially those with very long (or heavily loaded) wire runs. Only draws as much electricity as needed to illuminate the bulbs you have -- e.g. 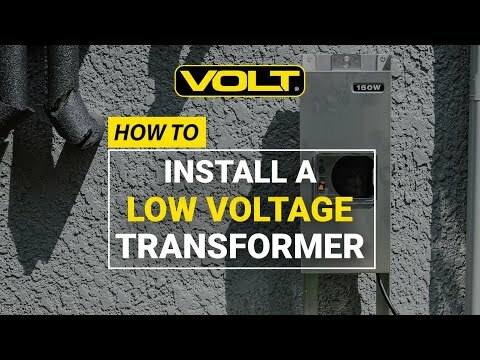 a 1200w transformer will only draw 400w of power if you only have 400 watts of bulbs hooked to it. Guidelines suggest never loading the transformer to more than 80% of capacity (240 watts for this model).